Our Crystal Reports training courses are taught by industry professionals with years of hands-on experience. They include lots of practical tips and tricks for producing clearer reports more quickly. We provide these courses at our centres in Guildford and London. We also provide training at our clients’ offices. This is often more convenient. It also allows us to tailor our course content to their exact requirements. We can also organise the training to suit their diaries. For onsite courses we are usually able to train on our clients’ Crystal Reports files. This makes the training completely bespoke to their situation. We’re here to help. Not sure of something? Got a question? Please don’t hesitate to contact us: 01483 688 488. This Crystal Reports training course will teach you the basics of report creation including sorting, grouping, linking, basic formula creation, working with report experts and how to distribute reports to other users. Our courses are focused on making you a more knowledgable and faster user of Crystal Reports. We believe that real, practical skills are developed most quickly using guided practice to reinforce classroom learning. Therefore our courses are deliberately very hands-on. This ensures that you spend plenty of time working in Crystal Reports. Each section of the course will include a carefully chosen exercise. This exercise allows you to practice what you have been taught. It will emphasise the key aspects of the area that you have just covered. Our instructors will be present throughout. If you get stuck on an exercise, they can explain the issue fully to you. This ensures that you understand fully before moving forward to the next section of the course. Crystal Reports is a business intelligence (‘BI’) application. It is used to produce reports quickly and simply from a wide range of data sources. Data Access. It allows data to be accessed and combined from a variety of sources. These include Excel spreadsheets, Oracle and SQL databases, and Business Objects. It also allows you to manipulate your data with formulas after it has been downloaded. This includes a limited number of GIS functions. Report Formatting & Design. Crystal Reports contains a full suite of report writing tools. It gives complete control over your report’s design and layout. It can present your data in a table, a report, or as a graph. It is also allows report users to filter data by entering values, or choosing from a pick list. For more advanced users, it is also possible to use the design tools integrated into Microsoft Visual Studio. Report Delivery. Reports can be published to the web for quick and simple distribution. They can also be exported and delivered in PDF, Excel and RTF file formats. Application Development. Crystal Reports produces HTML directly. This means that application development is separate from report design. This lets developers and designers can focus on what they do best. It can be accessed from outside a Microsoft environment and so can be used by Java developers (for example). 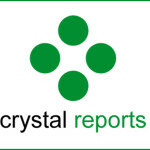 Crystal Reports was originally launched as Quick Reports in 1991 by the Cunningham Group. Since then the business has been bought a number of times, most recently by SAP in 2007. It’s most recent version is SAP Crystal Reports 2016 which was released in 2016. The practical application of the training received. Break times were perfect. Pace of the course was just right. One to one training. Topics explained and shown well. Flexible Pace, working examples and small class sizes. I found the atmosphere at Acuity Training friendly and welcoming. The training given was clear and I was able to ask questions and get the help I needed. I would happily use Acuity again and have recommended them to my company. The general way the course was run was very helpful, able to ask questions at any point. It was easy to relate to my particular job. What Is Provided With This Course? 1. Training by a highly experienced Crystal Reports trainer. 2. A full colour A4 Crystal Reports manual for you to take home. 4. Lunch and hot and cold refreshments throughout the day. 6. The Crystal Reports exercises that you will work on. A USB stick is provided so that you can take your training exercises away with you.